it is the essence of Hockey, the pivotal factor which will measure your success in this Sport. 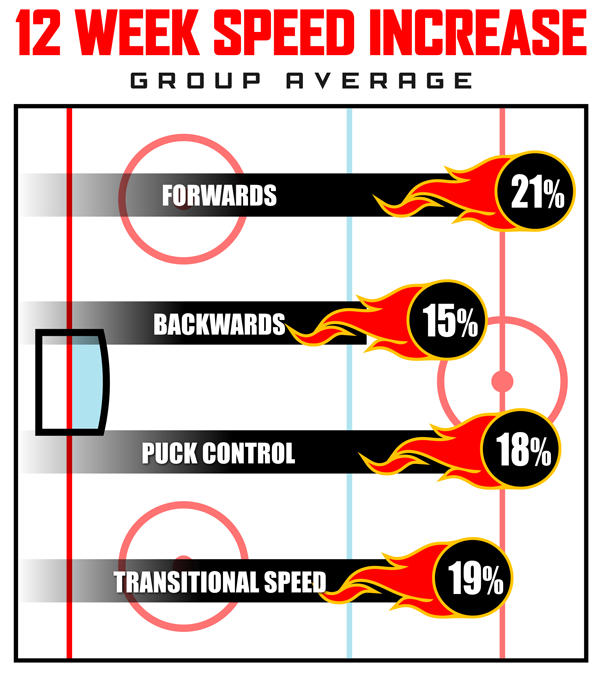 Speed as it relates to Hockey Equals Success. The Faster you are the more opportunities in this Game you will receive. it like everything else in life is accomplished through Effort and Dedication. you must focus your effort and energy not on excuses, but possibilities. You must train everyday to improve and while doing that ask yourself one simple question...Why NOT ME? When roughly 700 amateur hockey players each year begin their careers in either the CHL or U.S College Hockey... Why NOT ME? When 211 individuals are drafted into the NHL each year... Why NOT ME? When 25 players are selected by each participating country in the Men's and 21 in the Women's Hockey Programs to represent their Nation every 4 years.....Why NOT ME? Whatever your ambition, whatever your goal, whatever your dream, you should ask yourself one question... Why NOT ME?